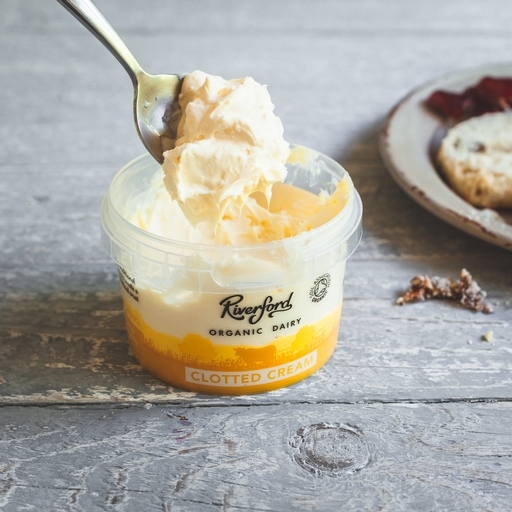 Organic clotted cream from the Riverford Dairy. They make this thick, velvety clotted cream the old-fashioned way: using the freshest organic milk from their Devon herd, cooked in small batches over water to produce a classic crystallised crust. Slather onto scones, dollop on berries, or use to make luxurious ice cream or fudge.